Picking the right domain name for a web project is by no means a simple task. Although domain names are, in most cases, cheap and easy to acquire, finding the perfect name can be a real hassle – especially when you take into consideration that over 311 million of them are already taken. While finding the perfect combination of characters is indeed difficult, it’s not impossible. In fact, there are several tools and strategies that can help you do it. If you’re currently considering buying a new domain, then take a few minutes to walk through these five simple steps. They should make your search a whole lot easier. One of the best indicators of a domain’s effectiveness is whether it gives you a clue to the kind of content you can expect to find inside. Keywords are your best friend in this regard. For example, if you were in the wigs business, a bit of research would reveal that there is some real demand for wigs for children. A savvy businessperson would then consider buying a related domain, such as wigsforkids.com. Despite the effectiveness of this strategy, there’s no rule that says that you must use related keywords in your domain. Plenty of large companies, such as Google and Twitter, get away with creating brands and growing them despite their silly names. This is entirely possible, as long as you’re committed to expanding your reach over an extended period of time. Finally, there’s another option which we’re quite fond of, which is using your name as a domain. This is a perfect choice for personal portfolio sites or About Me pages since it enables you to brand yourself, so to speak. The only downside is your name alone won’t provide any clues as to the content of your site, but that can be an acceptable compromise. If you choose to go the keyword route, we recommend using Keyword Tools to research topics of interest for potential domain name ideas. Ideally, your domain name should be short and simple. Short domains are easy to remember and easy to type making it less likely that visitors will end up somewhere else by mistake. An interesting bit of research – which, to be fair, is a bit dated – found that the most popular sites on the web tend to have domain names of up to 6 characters. Think Google, Amazon, Reddit, Ebay, etc. They’re all easy to remember and hard to mistype. Following the advice we outlined in step number one – you should take your list of keywords and the various combinations that you’ve put together, and slash any that are long and complicated. By now, you should have a decent list of domain possibilities. However, the chances are that as far as suffixes go, you’re thinking about .com. We can’t blame you for that – after all, .com domains are highly desirable, but they’re far from the only domain name game in town anymore. In fact, there are plenty of niches where different types of suffixes, also known as top-level domains (TLDs), are in vogue. Dot io is a hit in tech and startup circles. Meanwhile, local businesses should consider regional TLDs, such as .co.uk, which are more likely to be available than plain .com domains. Some TLDs, on the other hand, have gotten a bad reputation. For example, .xyz domains are now being automatically flagged as spam by some systems. As a rule of thumb, if a TLD is offered for free (as .xyz often is), chances are that spammers will ruin it for everyone sooner or later. The process of looking for alternative TLDs is pretty simple. 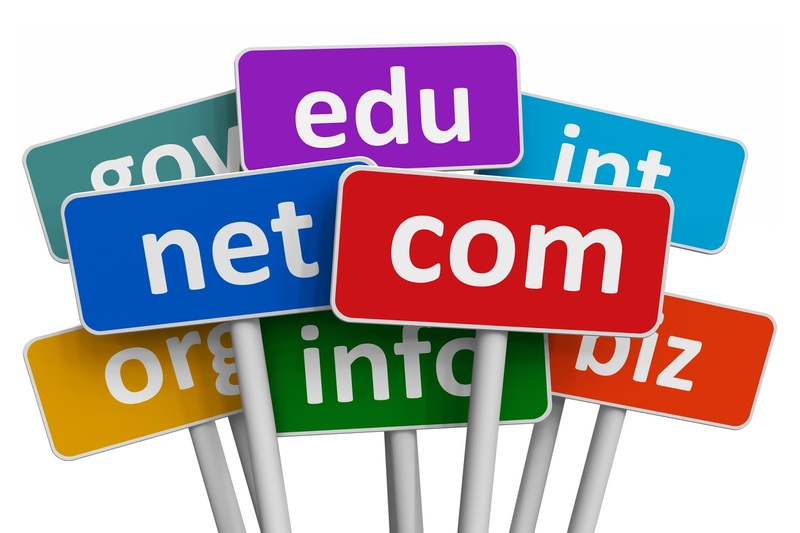 When you check the availability of your domain name candidates, most domain registrars will list alternative TLDs alongside regular suffixes and provide you with up-to-date pricing information. This piece of advice might seem counterintuitive, but bear with us. Nowadays, most web hosts will provide a way to create and access your websites using a temporary subdomain even if you haven’t purchased a domain name yet. Sticking with a host-provided temporary URL for the long haul, is, of course, a terrible idea. They’re usually complicated and impossible to remember. But the option does remove some of the pressure to settle on a domain name right away. This way, you can begin working on your site’s design and content right away – a process that will sometimes lead to a burst of naming inspiration that you might not have had otherwise. So, if you’re still feeling undecided after the first three steps, take a little time to mull things over. Find a good host that won’t force you to pick a domain right away, and begin working on your new project. Plain old domain availability isn’t the only factor to consider nowadays – you also need to take social media into account. After all, you don’t want to spend hundreds of hours working on your site only to find that its name is already taken on social media. Before you make a final decision on your domain name. You need to take the time to consider which social media networks you will want to use alongside it. Then visit each network to find out whether the name you want to use is available, and snap it up if it is. If the account name you want to use is already taken, you could always choose to alter your account name slightly until you locate an acceptable alternative that is available. In our case, the wigsforkids.com dream can’t take off since that Twitter handle is already taken by a good cause. At this point, you should have a few stellar candidates for the position of your next domain name. We’ve already run through all the practical considerations, so all that’s left to consider are your particular preferences. We’re sure you’ll make the right choice!